Here are early sketches for Ki-Gra’s REALLY, REALLY BIG Day! and the part o the story that accompanies them. 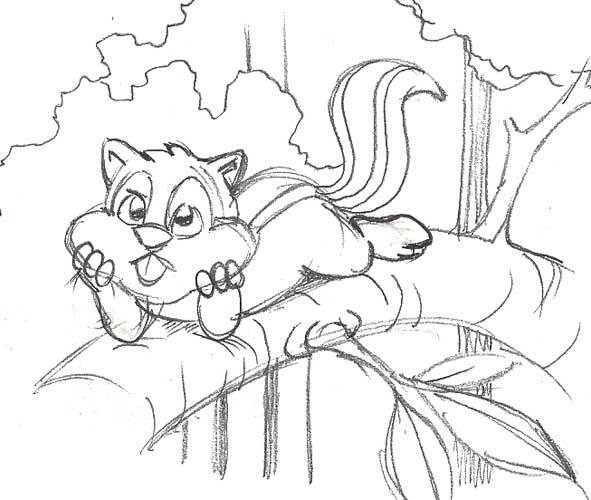 Ki-Gra was a small, young chipmunk, who lived in a big, old forest. His parents wanted him to grow up to be kind and grateful. They named him by putting parts of the two words together. He thought until his head hurt. But, he still couldn’t think of anything big to do. The next step is for the illustrator to turn the sketches into full-color illustrations.